The 2017 NBA off-season is in full swing and after Gordon Hayward’s free agency signing with the Boston Celtics, one would assume all of the biggest free agents or trade targets have found their new homes or decided to stay put. 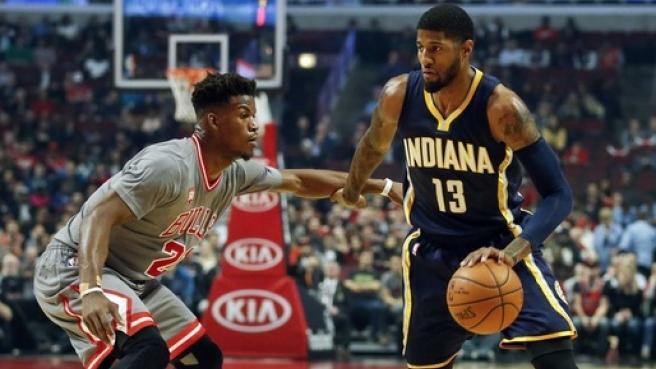 The migration of even more talent to the western conference this off-season is stupefying as Paul George has been traded to the Oklahoma City Thunder, Jimmy Butler has been traded to the Minnesota Timberwolves, and Paul Millsap has signed with the Denver Nuggets. Many teams in the east are deciding to bottom out such as the Chicago Bulls, Atlanta Hawks, and we assume the New York Knicks, while others are trying to make the leap forward in the west including the aforementioned Nuggets, T’Wolves, Thunder and the Rockets to name a few. Other teams such as the Clippers are trying to stay afloat while the Sacramento Kings seem to be trying to improve with the signings of George Hill and Zach Randolph. The only team in the western conference that seems truly committed to a rebuild and youth movement at the moment is the Phoenix Suns. Because of this migration, in my opinion, there are only three of the top 12 to 15 players or so in the NBA that currently play in the eastern conference, LeBron James, John Wall and Kyrie Irving. Only five of these 11 teams will make the postseason in 2017-18. Let’s say the Thunder and T’Wolves are in for sure because of their marked improvement with the acquiring of a star in Paul George and Jimmy Butler, that leaves three teams out of this list to make the playoffs: Jazz, Nuggets, Blazers, Grizzlies, Clippers and Pelicans. Will the Jazz, the biggest riser in the western conference last season miss the playoffs after losing Hayward even with all of their depth? Will a Nuggets team that just missed the postseason last year and added Paul Millsap really miss it again? Will a Grizzlies team led by Mike Conley and Marc Gasol really miss the playoffs? How about a Clippers team with Blake Griffin and DeAndre Jordan and a good trade return for Chris Paul and the addition of Danilo Gallinari? Missing the playoffs yet again in New Orleans would be disastrous with Anthony Davis and DeMarcus Cousins. The Blazers have one of the better young back courts in the NBA and one of the league’s highest payrolls, no playoff return would be a problem for them. The race for the final few seeds in the western conference is going to be a bloodbath, and the great sage of our time Lavar Ball has already prophesized that his son Lonzo Ball will lead the Lakers to the playoffs his rookie season (a little sarcasm there). The wild west figures to be as wild as ever in 2017-18.